...for the week to spend some time with the newest member of the Joseph's Grainery family! I'd like to introduce you to my new baby Brougham. He was born just a few days ago and weighed in at 8 lbs 15 oz. My cousin Katie even came for a visit to meet him. 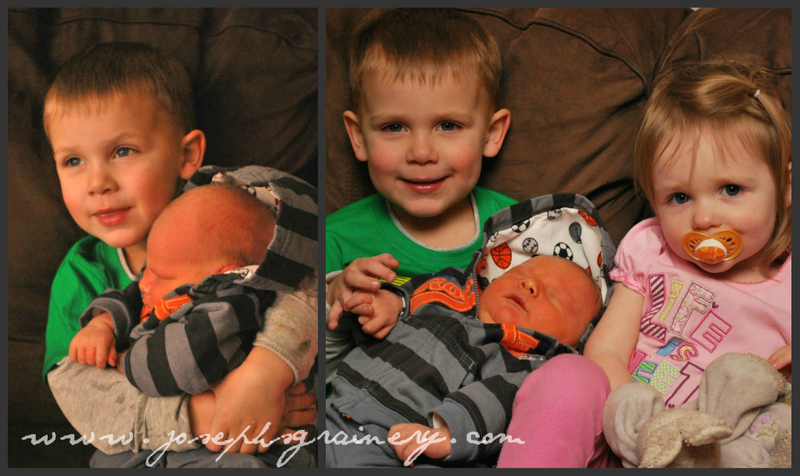 I'm adjusting to life as a big brother and we'll be back soon with more delicious whole grain recipes!